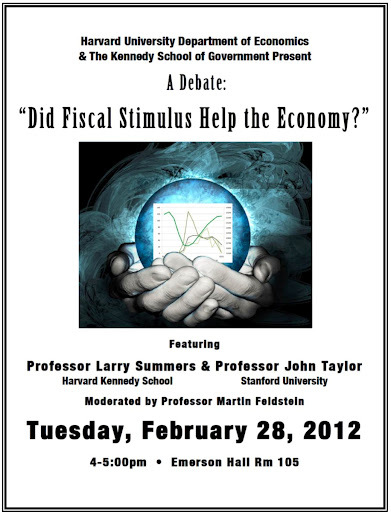 Larry Summers and I debated “Did Fiscal Stimulus Help the Economy?” at Harvard this week. There was no video streaming or recording, and I will not try to summarize the back and forth (which the overflow crowd seemed to enjoy), but here is a summary of things I said in my opening remarks. 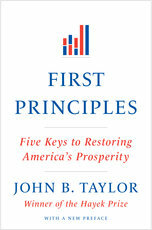 There will be a follow-up debate at Stanford on April 4 which will be recorded. The issue we are debating today is central to economic policy. It’s an issue where there‘s obviously a great deal of disagreement. Students want to know why there’s disagreement, and the point-counterpoint of debate is an important way to learn. So I thank Harvard for sponsoring this debate, and I thank you all for coming. I have been doing a lot of empirical research on the impact of discretionary Keynesian stimulus packages—the temporary and targeted packages intended to counter recessions and jump-start the economy by increasing government purchases, transfer payments, or tax rebates. I don’t find convincing empirical evidence that they helped the economy, or that they increased economic growth in any significant or sustained way. In fact, by increasing unpredictability about policy and by raising uncertainty about increased deficits and debt, they are likely to have harmed the economy. First, I want to emphasize that I not saying that permanent or long-lasting changes in fiscal policy, such as tax reforms that lower marginal tax rates, cannot help the economy, or that the automatic stabilizers are ineffective. This debate focusses on temporary discretionary fiscal stimulus packages. 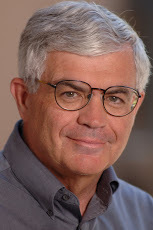 Second, I am not objecting to certain features of macroeconomic theory that are sometimes labeled Keynesian, such as that wages and prices are sticky, or that aggregate demand has a role in short run fluctuations, or even that people’s expectations matter, though I would emphasize that expectations have important rational characteristics. For me such complications—which I have been researching for many years—suggest the need for fewer discretionary policy actions and more systematic rule-like ones. Third, I take a longer perspective than the February 2009 stimulus package and the related cash for clunkers and first time home buyer programs. There were also fiscal stimulus packages in 2008 and 2001, as well as in the 1970s. The basic idea behind Keynesian stimulus packages is presented in basic college courses: A shift down in aggregate expenditures can be countered by increasing government purchases—augmented by possible multiplier effects—which shift up aggregate expenditures and fill the “gap.” Temporary changes in tax payments and transfers work the same way except that increased consumption is supposed to fill the gap. Estimated macro models used for policy evaluation—whether old Keynesian or new Keynesian—have this basic mechanism built into them. However, they differ greatly in their predictions of the policy impact because of different assumptions about expectations, the marginal propensity to consume, the speed of price adjustment, and crowding out of other spending. For example, Christina Romer and Jared Bernstein used old Keynesian models to predict the effect of the stimulus package of 2009 before it was implemented. They predicted large effects of the package with multipliers around 1.5. In contrast, in research with John Cogan, Volker Wieland and Tobias Cwik, I used a new Keynesian model to predict the effects of the 2009 stimulus. We predicted a much smaller effect, with multipliers averaging 0.5, even less when you include transfer payments. The problem with using these existing macro models to answer the question of this debate “Did fiscal stimulus help the economy?” is that they will simply repeat the same prediction story over and over again. You learn virtually nothing if you use the same models to evaluate the impact that you used to predict the impact. So it is necessary to look at what actually happened, to look at the changes in aggregate consumption or GDP due to the stimulus packages, and that is what I have done. For the parts of the packages which include temporary tax rebates or temporary tax cuts I find no significant consumption effect using regression analysis and controlling for other factors that affect consumption. If you look at a chart of the tax rebates in 2008, for example, the evidence is striking: There was a big increase in personal disposable income at the time of the rebate, but no similar change in consumption. This is exactly what the permanent income or life cycle theories of Milton Friedman and Franco Modigliani tell us. People largely saved the injection of cash. The same thing is true for the 2001 and 2009 stimulus packages. In the case of the 2009 stimulus package, there was also an attempt to increase significantly government purchases of goods and services. But the evidence is that this attempt largely failed. A special satellite account produced by the Bureau of Economic Analysis shows that federal infrastructure investment—at the peak quarter—increased by only .05 percent of GDP as a result of the stimulus and federal government consumption by only .14 percent. While state and local governments received substantial grants under the 2009 stimulus, a statistical analysis by John Cogan and me shows that they did not use these grants to increase their purchases of goods and services as many had predicted. Instead they reduced net borrowing and increased transfer payments. Even with balanced budget laws, state and local governments can borrow for infrastructure, and they borrowed less on a net basis during the stimulus period, while they put additional funds into financial assets. So when you look at what actually happened, you find that the stimulus packages in recent years did not help the economy; they did not significantly increase aggregate expenditures as the simple rationale for such Keynesian interventions suggests. Remarkably, economists found the same ineffectiveness when similar policies were tried and evaluated in the 1970s including a temporary tax rebate in the Ford Administration and stimulus grants to the states in the Carter administration. After studying the 1975 rebate, Ford’s own Council of Economic Advisers (I was on the staff) concluded that: “Tax reduction should be permanent rather than in the form of a temporary rebate,” and research by Ned Gramlich on the Carter stimulus grants to the states showed that they were not effective. By the end of the terribly performing 1970s, Robert Lucas and Thomas Sargent wrote their famous paper “After Keynesian Macroeconomics” and macro policy switched away from the focus such temporary fiscal stimulus packages. Not surprisingly, in my view, economic performance improved greatly for more than two decades. It is too bad we had to go through the recent revival of these ineffective policies to relearn what was known thirty years ago.